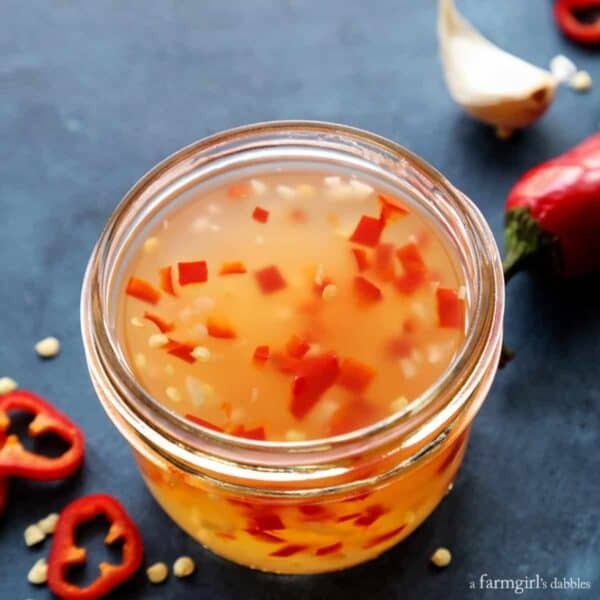 This homemade Asian Style Sweet Chili Sauce is fresh and bright, with a punch of heat. 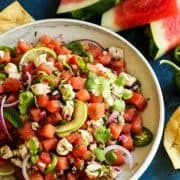 It’s a fun one to have in your pantry for grilling and dipping! 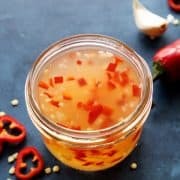 This recipe for Asian Style Sweet Chili Sauce is probably the quickest, easiest food I’ve ever canned. And its flavor and consistency beat the heck out of anything I’ve ever bought from the store. 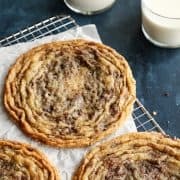 This recipe comes straight from the pages of Not Your Mama’s Canning Book by Rebecca Lindamood. 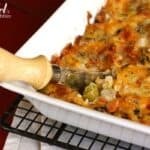 You’ll find no stuffy, boring, or bland recipes here. That is simply not Rebecca’s style. If you don’t know Rebecca, get acquainted by visiting her blog Foodie with Family. Her recipes always tempt me, while her awesome quirky personality and humor make me feel right at home. The first time I met Rebecca, I instantly liked her, dangly whisk earrings and all (she really has a pair!). I think we would make great neighbor lady friends. 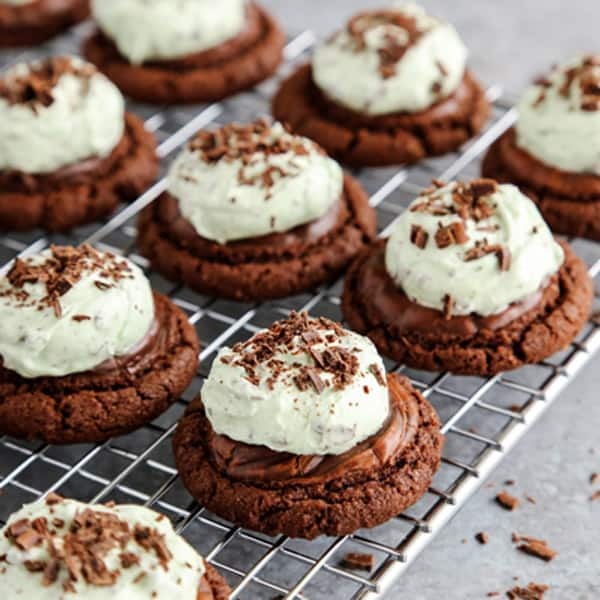 Rebecca is skilled in the kitchen in ways that many more people should aim to emulate. She is frugal, resourceful, and efficient with her materials, time, and money. Yet, she manages to always add in these funky little twists of creativity that make the seemingly mundane feel like fun. She’s a kitchen wiz, I tell ya. Whether you’re a pro or a newbie at canning, this is a truly wonderful book. 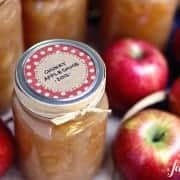 You’ll find great tips and helpful tutelage throughout, including information on canning equipment and basic canning safety. And the best part? 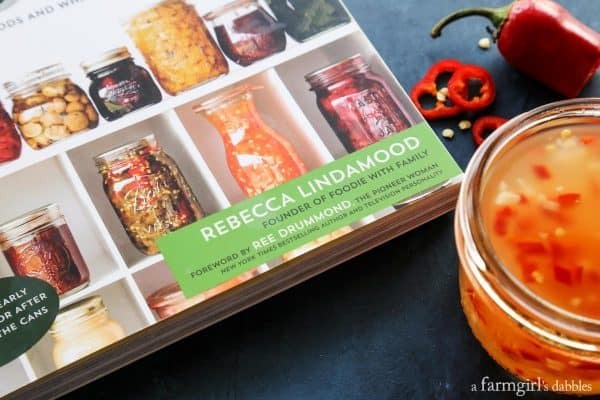 Rebecca matches up her canned products with a collection of non-canning recipes. For example, her Korean Inspired Flank Steak Lettuce Wraps recipe utilizes her canning recipe for Korean Barbecue Sauce. Rebecca sent me a jar of that sauce and I licked it clean. So. Dang. Good! 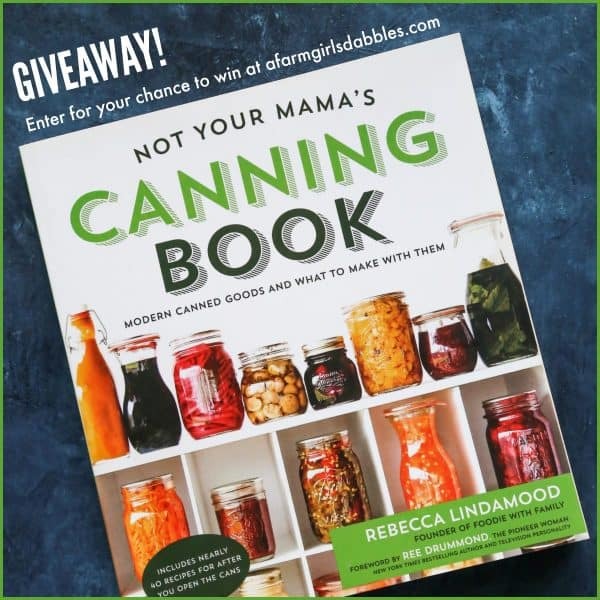 For your chance to win a copy of Not Your Mama’s Canning Book, go here for the giveaway! 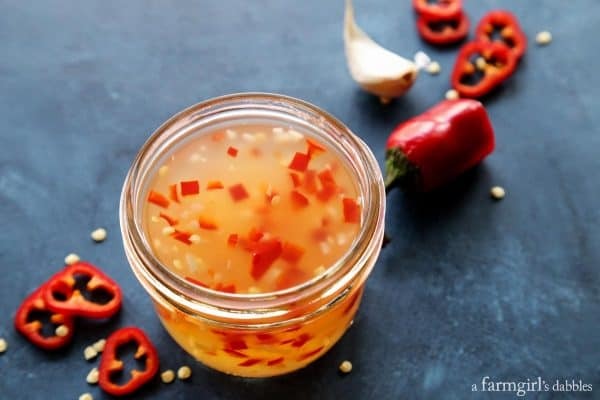 There is very little prep required for this Asian Style Sweet Chili Sauce recipe. All you need for fresh produce are a few red chili peppers and cloves of garlic. If you like fresh, bright sauces with a punch of heat, this is a fun one to have in your pantry for grilling and dipping. Meatballs are a sure-fire way to get my family all happy-happy. 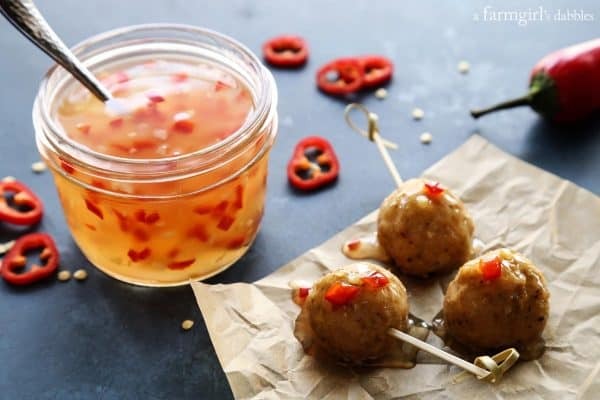 As an appetizer or a main course, these baked chicken meatballs are always a hit, and go super swell with this zippy sweet chili sauce. I especially like how clean and fresh this sauce tastes, with more heat than the store-bought versions. Give it a try. Let me know what you think! 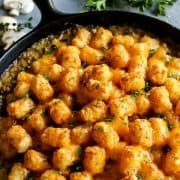 In a medium-sized saucepan over medium to medium-high heat, stir together 2 cups of the water with the rice vinegar, sugar, salt, minced pepper, and garlic. Stir to dissolve the sugar and salt, and bring mixture to a boil. Boil for 5 minutes. While sauce is boiling, use a small whisk or fork to mix the canning starch (I used 1/4 cup + 3 teaspoons of Clear Jel and was happy with the consistency) into the remaining 1/3 cup of water. While stirring the sauce vigorously, pour the starch/water mixture into the pan. Keep stirring and bring the mixture back to a boil. Lower the heat and simmer for 1 minute. Use a ladle to scoop the sauce into half-pint (8-oz.) jars, leaving 1/4″ headspace. Use a chopstick to remove air bubbles and then adjust the level with additional sauce if needed. Moisten a paper towel with vinegar and wipe rims of jars clean. Place lids on jars and fasten appropriately, whether it’s turning a ring to fingertip tightness or fixing clamps in place. Use canning tongs to transfer jars to a canner or large stock pot full of boiling water, with water covering jars by 2″. Put lid on canner and return water to a boil and process for 10 minutes. Carefully transfer hot jars to a towel-lined counter before removing any rings, wiping the jars clean, and labeling. Store jars in a cool, dark place for up to 1 year. Once opened, the sauce will be good for up to 3 weeks when stored in the refrigerator. Recipe from Not Your Mama’s Canning Book by Rebecca Lindamood. 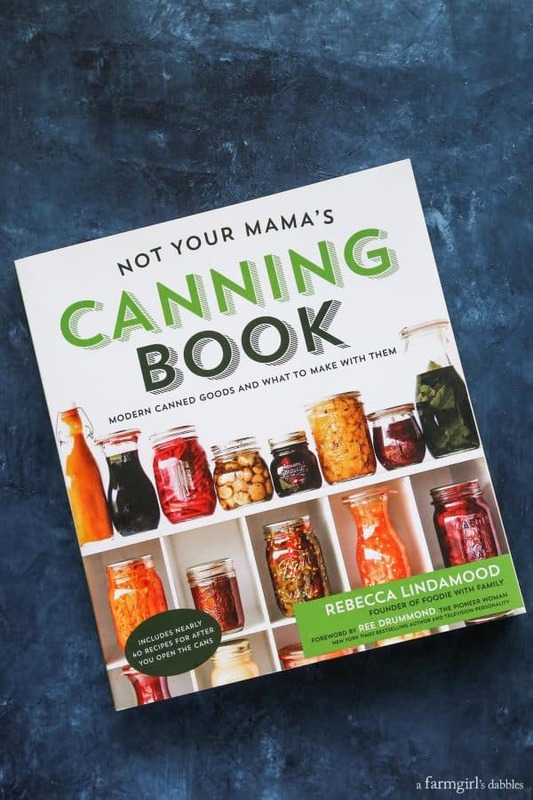 I was given a copy of Not Your Mama’s Canning Book for my personal use and review. There are Amazon affiliate links in this post. Do you leave the seeds of the jalapenos in or do you take them out? 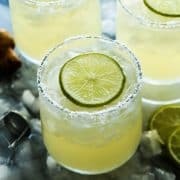 Can I use green jalapenos in this recipe? 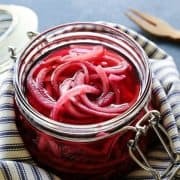 I would like to try this sauce with my all time favorite onion rings :D Can I use white vinegar instead of rice vinegar ? 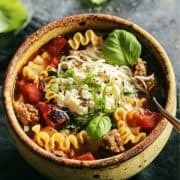 I’ve never tried making this sauce from scratch, but I really should! I’m a huge fan of it. We pretty much put sweet chili sauce on EVERYTHING! But I have never even THOUGHT to make it myself! LOVE this! 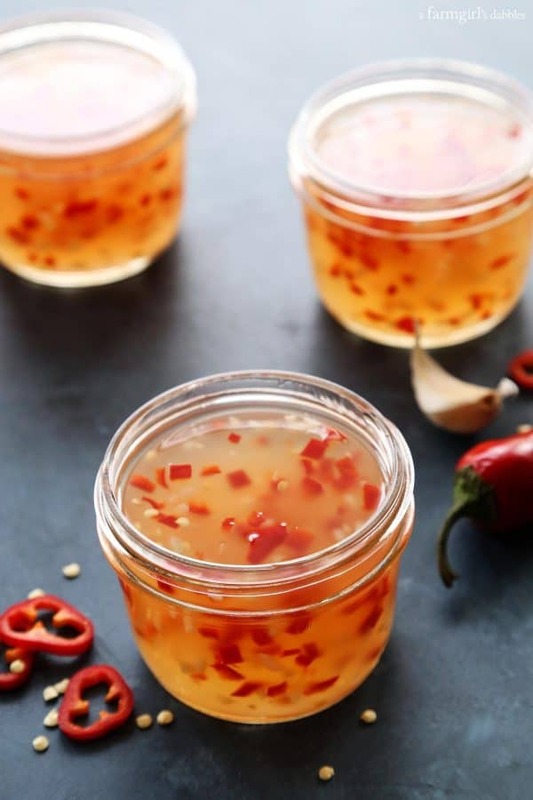 The sauce will taste fantastic with eggrolls, dumplings or spring rolls! Okay, Brenda! I’m just awed by your review. Thank you! And I can’t believe you remember my whisk earrings!! :D We would be the best neighbor lady friends! I don’t suppose you want to move to Western New York, do you? Big fat hugs and kisses coming your way!